Tile work depicting the three children below the oak tree and the apparition with black eyes in 1917. Tile art by Ironbound, a Portuguese company in Newark, New Jersey. June 30, 2006 Portugal – Eighty-nine years ago on May 13, 1917, three children watching sheep in Fatima, Portugal, saw lightning. Then a “small, pretty lady” appeared, suspended in the air at the top of an oak tree. The lady told them she would return to the same oak grove every month for six months. Her last visit would be October 13, 1917. Then she would tell the children who she was and what she wanted. The lady did appear on the 13th of each month after that. As word spread that a miracle was happening in Fatima, Portugal, an estimated crowd of 50,000 people were gathered on October 13, 1917, for the sixth and final appearance. By then, the Catholic Jesuits in the parish said it was the Virgin Mary, even though the apparition suspended at the top of the oak tree never called herself that. But what exactly did the three children – Lucia, Jacinta and Francisco – say they saw at the top of an oak tree? 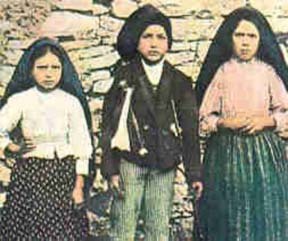 Jacinta Marto (age 7), Francisco Marto (age 9) and Lucia dos Santos (age 10), the three children of Fatima in 1917, the year they were witness to the small female apparition atop the oak tree. Below is a summary of Fatima apparition descriptions from Page 18 of a 2005 book by Portugal historians entitled: Heavenly Lights, The Apparitions of Fatima and the UFO Phenomenon. The authors are Dr. Joaquim Fernandes and Fina D’Armada. 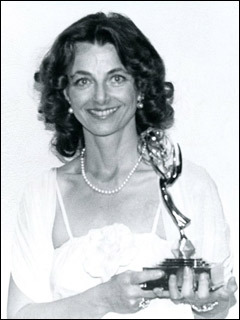 She was an apparently feminine and very beautiful figure. She measured approximately 3 ½ feet tall. She appeared to be between 12 and 15 years old. She wore a skirt, a coat, and maybe a cape, which were white. Her skirt and robe had a checkered pattern of gold thread. She had two or three cords at her waist. She wore something on her head that covered her ears and hair. and a luminous ball at her waist. She came from above and disappeared, little by little, back up into the sky. She made no facial movements and did not move her legs. She spoke without moving her lips. She moved only her hands, once in a while. She turned her back to the children when she rose up in the sky. 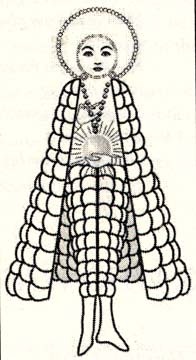 The Being of Fatima, Portugal, in the 1917 oak tree apparitions, as interpreted by the authors, according to the first description provided by Lucia to the Parochial Inquiry. Source: Heavenly Lights: The Apparitions of Fatima and the UFO Phenomenon © 2005 by Joaquim Fernandes, Ph.D. and Fina D’Armada. 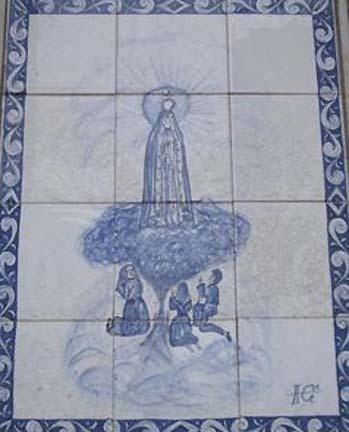 Classic Catholic Church depiction of the 1917 Fatima apparition and children. The historians were intrigued by the strong UFO phenomenon link to Fatima. In fact, the cover of their first book, Heavenly Lights, The Apparitions of Fatima and the UFO Phenomenon, has a photograph of the three child eyewitnesses above a graphic image of three grey aliens with large black, slanted eyes. Heavenly Lights © 2005. Click here to amazon.com listing. Recently I talked with the Portuguese authors of Heavenly Lights and the new 2nd book, Celestial Secrets: The Hidden History of the Fatima Cover-Up, to be released in July 2006. The English translator is Alexandra Bruce. 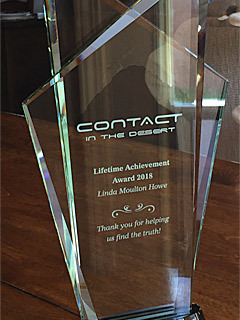 My first question by phone to the authors was: What evidence convinced them as historians that Fatima was caused by the UFO phenomenon? 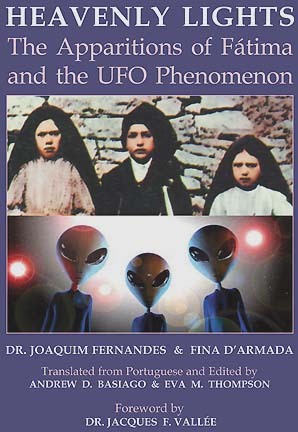 Joaquim Fernandes, Ph.D., and Fina D’Armada, Authors, Heavenly Lights: The Apparitions of Fatima and the UFO Phenomenon © 2005; and Celestial Secrets: The Hidden History of the Fatima Cover-Up © 2006, who reside and work in Portugal as historians: “Because of the many testimonies of disc-shaped craft, which started out silver, but became transparent and revealed the bodies of three beings inside. There were strange angelic interfaces. There were apparitions floating above a particular oak tree in a field. And Andy has interpreted the lady on top of the oak to be a holographic projection from a craft above. The description of the being that hovered over the oak tree seemed to be directly linked to a ray that came from higher up, beamed from on high and went up to the clouds. There was a low ceiling of clouds. When it shut off, it retracted back into the clouds. It looked like a projected image. Nicanor-Olivera, Argentina, August 31, 1978. 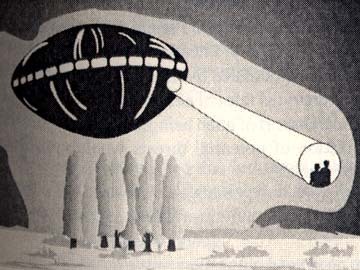 Two human forms were carried on the end of a light beam emitted by a UFO. Drawing © by Alejandro E. Chionetti. Also, he says it is the reports also of people feeling like they might if a fighter jet were nearby. The air trembled and literally dried up everyone. It had just rained, but everything just dried up totally around them, the clothes and the ground itself. Five or six people also reported instantaneous cures, healings. IF THERE WAS TECHNOLOGY AND PEOPLE SAW DISCS AND SAW BEINGS IN THE DISCS AND THEY SAW BEAMS THAT WERE PROJECTING THE ENTITIES THAT WERE TRANSLUCENT, DID THE JESUIT PRIESTS THEN FORCE LUCIA TO LIE? My answer would be yes! (laughs) There is Fatima 1 and Fatima II. Fatima I is with the kids and the eyewitnesses of the events of 1917 described. Fatima II is the version that went down in history sort of cobbled together by the Jesuits. What the authors are trying to explain is the political background during that time, prior to the establishment of the Republic of Portugal, the church and the state had been one. Many church clerics were expelled from Portugal and fled to the Dorothean convent at Pontevedra, Galicia, northern Spain. That’s where Lucia at the age of 18 was interned in one of those nunneries where you are not allowed to speak. But she was visited and basically told what to do by Jesuits on a regular basis. She was visited by Jesuit priests who had been expelled from Spain and they built their own version of the Fatima story in the years following the apparitions. [ Editor’s Note: Catholic World News reported: “Sister Lucia, the last survivor among the three Portuguese children to whom the Virgin Mary appeared at Fatima, has died at the age of 97. Sister Lucia died on February 13, 2005, at her Carmelite convent in Coimbra, Portugal, after a long illness. Living in isolation in the cloistered convent, Sister Lucia had reportedly lost her eyesight and hearing in the months preceding her death. Born on March 22, 1907, Lucie Dos Santos was only 10 years old when the Virgin appeared to her and her two young cousins, Francisco and Jacinta Marto, on a field outside the town of Fatima, on May 13, 1917. The apparitions continued through October 13 of that same year, and the seers conveyed Mary’s predictions of World War II, the rise of Russian Communism, and the urgent need for the faithful to pray the Rosary. 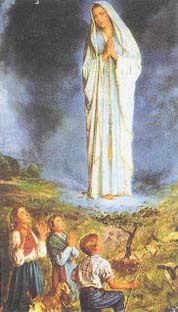 Sister Lucia also revealed the famous ‘third secret’ of Fatima, which was kept secret by successive Popes until May 2000, when John Paul II revealed the text of a mystical vision involving a ‘bishop dressed in white’ who was struggling toward the Cross, over the bodies of martyrs, until he himself was felled by gunfire. Pope John Paul concluded that the vision referred to the attempt on his own life. Some Catholics continue to insist that aspects of the ‘third secret’ have not yet been disclosed, although the Vatican insists that there is nothing more to reveal. Sister Lucia had spoken of the Fatima promises in four published memoirs, but kept the ‘third secret’ hidden. She divulged that secret to the Bishop of Leira, Portugal, in January 1944; he confided the secret to Pope Pius XII. Sister Lucia had said that the secret should be revealed at the Pope’s discretion, but not before 1960. The first Pontiff to meet privately with Sister Lucia was Paul VI, when he visited Fatima in May 1967. Pope John Paul II met with her on three separate occasions: in 1982, when he made a pilgrimage to Fatima to thank the Virgin for saving him from assassination; in 1991, on the 10th anniversary of the shooting; and in 2000, for the beatification ceremonies. Francisco and Jacinta Marto were beatified by Pope John Paul in ceremonies that took place at Fatima on May 13, 2000 – the anniversary of the first apparition there. Both Francisco and Jacinta had died in their youth – in 1919 and 1920, respectively. Sister Lucia made a rare journey outside the Carmelite cloister to take part in the ceremony. Both “Nordic” and “Grey” Entities Present in Fatima? IN THE BOOKS, THERE ARE TWO SPECIFIC DESCRIPTIONS BY DIFFERENT EYEWITNESSES OF UNUSUAL ENTITIES IN MAY 1917. ONE IS BLOND-HAIRED, WHITE-SKINNED, BLUE-EYED; A GIRL OF APPROXIMATELY 14 WHO IS DESCRIBED IN ONE INCIDENT. IN ANOTHER, THE ENTITY ABOVE THE OAK TREE IS DESCRIBED AS HAVING BLACK EYES, WHICH WOULD SEEM TO BE LIKE THE GREY EXTRATERRESTRIALS. THE BLOND, BLUE-EYED WOULD SEEM TO BE LIKE THE NORDICS IN THE CLASSIC E. T. LITERATURE. Yes, they were two very different apparitions. The blond one was the fourth eyewitness who died only 10 months ago, who gave the story about the young blond teenager. You are right, the other apparition above the oak tree did have black eyes and very small features. SO HOW DO THESE INVESTIGATORS RECONCILE TWO COMPLETELY DIFFERENT EXTRATERRESTRIAL GROUPS BEING INVOLVED IN WHAT MIGHT HAVE BEEN A HIGHLY DECEPTIVE SERIES OF EVENTS – SPECIFICALLY TO FOOL THE POPULATION INTO THINKING IT WAS A RELIGIOUS EVENT? In the authors’ opinion, the extraterrestrial phenomenon is an inter-dimensional, ongoing millennial ancient thing that we’ve superimposed our own meaning upon. So, the meanings that were ascribed to the events of Fatima came from the psychological and language of the culture in those times. Then, the Jesuits manipulated it to fit their goals, which were to make Russia Christian again. It’s what Jacques Vallee wrote in his books: this stuff has been going on forever, it’s not going to stop, and it will just morph and we’ll give it new meanings as our technology and culture and subconscious evolves. We’ll start having a different relationship to these sorts of events. 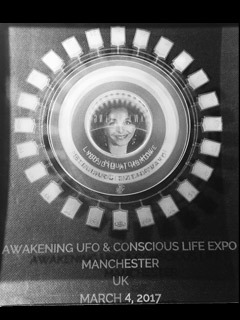 Why Would the UFO Intelligence Masquerade As Marian Apparitions? WHAT IS THE IMPLICATION FOR THESE INVESTIGATORS OF WHAT APPEARS TO BE A DELIBERATE EFFORT ON THE PART OF THE EXTRATERRESTRIAL INTELLIGENCE TO MASQUERADE ITSELF EXACTLY AS MARIAN APPARITIONS WHICH THE CATHOLIC CHURCH HAD BY THEN ACCEPTED? That’s an interesting question. So everyone said if the kids saw a woman dressed in white, who else could it be but the Virgin Mary? The question is: were the ETs trying to look like Catholic imagery? Or was it the subconscious in the public milieu at the time trying to make sense out of something that makes no sense. So, it’s a saint, an angel, the Virgin Mary. Then later on in the last half of the 20th Century when high-tech started happening and sci-fi started happening, you can describe it all as something else. That’s the theme of the second book: it was not Mother Mary. It was something inter-dimensional, extraterrestrial or other, but the ‘pretty woman’ morphed over time as the Jesuits got their hands on it in a super-religious country to turn it into a miracle instead of something scary and bizarre. I’M TRYING TO SAY IT WAS JUST EXTRATERRESTRIALS MANIPULATING HUMANS. They don’t rule that out. But it does not seem as likely as something that is beyond our comprehension. The authors don’t feel they have enough evidence to definitively state there was direct extraterrestrial manipulation of the people in Fatima. Was it inter-dimensional? Extra-dimensional? 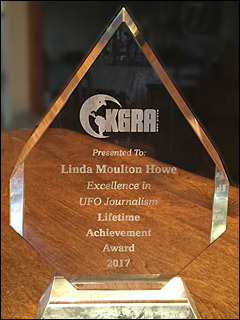 Extraterrestrial? Holograms? It was weird – especially when you are talking about 19th Century rural Portugal. All that happened was so beyond the people involved that it’s very hard to say exactly what happened. You’re talking about a lot of illiterate people who went to church every Sunday. BUT THE WHOLE POINT OF THE BOOK, HEAVENLY LIGHTS ARE THE DETAILS, WHICH THE SUBTITLE UNDERSCORES: A UFO PHENOMENON, WHICH IS E. T.
The authors say they were the first to point out the incredible similarities between UFO encounters that occurred in Fatima and the events reported at Fatima. But what the hell is an extraterrestrial? We don’t know. That’s beyond our comprehension. They don’t feel right as scientists, historians, to declare. Maybe the military has stuff they don’t know about. But they know the local mythology and philosophical fairies that have been reported for eons in the area – it could be any of these things or all of them at once. 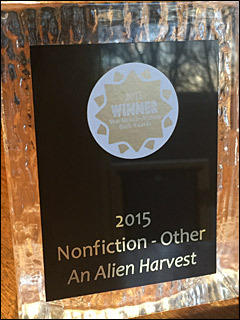 Yes, it might have been an encounter with flesh and blood, nuts and bolts, extraterrestrials. But the area has been renowned for fairies and weird things forever. The first book was more of a shock like, ‘What if Fatima was a UFOs and extraterrestrial encounter?’ The second book is going more into, ‘What the hell is a UFO? What the hell does extraterrestrial really mean? And the Jesuit manipulation of the story. Catholic Church’s Response to Books So Far? The initial reaction of the Catholic Church was one of total shock and surprise because they themselves had never bothered to take a look at the original documents of the 1917 Fatima events. These two historians were the first to ask for permission to view and study documents about Fatima in an historical manner. The Catholic Church has not been afraid of the discovery of something that would shake the dogma of the Catholic faith. However, the authors were forced to sign documents in order to get access to the documents and to write about them. In that way, the authors were compromised. 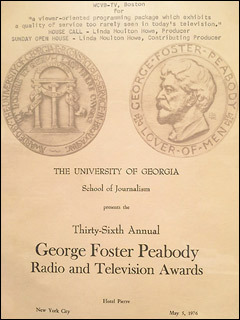 At the time they were writing the books, she had a scholarship at a university that was for another topic, another major. 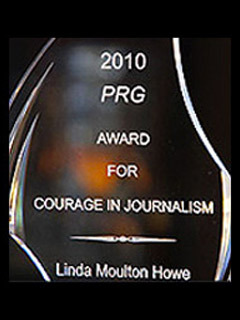 When her studies came to light, it was a time of political change in 1964 of a new democracy. When the church saw what she was writing about, her scholarship was suspended and her career as an investigator was destroyed. She explains that Fatima is not only a Catholic thing to the country of Portugal. It’s one of the biggest sources of revenue for Portugal from tourists in the 20th Century. So it’s almost like Church and State become one around the Fatima phenomena. GIVEN WHAT YOU JUST SAID, THEN IS IT A THREAT TO THE CURRENT CATHOLIC CHURCH IN PORTUGAL, SPAIN AND THE VATICAN TO HAVE THIS WORK OUT WITH SO MANY DETAILS ABOUT THE 1917 SERIES OF EVENTS BEING UFO PHENOMENA AND NOT MARIAN APPARITIONS? 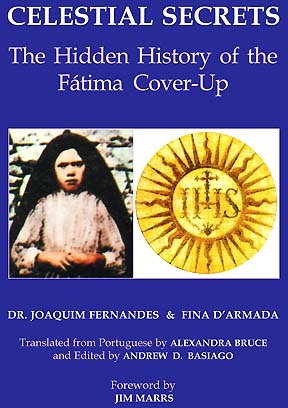 The new book, Celestial Secrets: The Hidden History of the Fatima Cover-Up by Portuguese historians Joaquim Fernandes, Ph.D., and Fina D’Armada, is available beginning this weekend of July 1st at amazon.com. I recommend reading Celestial Secrets and the first book in this trilogy about the 1917 Fatima events, Heavenly Lights: The Apparitions of Fatima and the UFO Phenomenon. 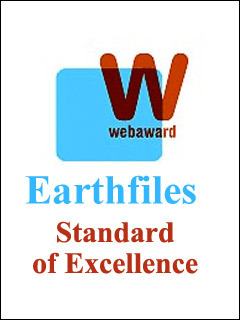 For further information about extraterrestrial beam technology and related phenomena, please see reports below in the Earthfiles Archives and my books and documentaries in the Earthfiles Shop. 04/03/2006 — Genetic Harvest in Cimarron, New Mexico?